Current Team Members and their position within the Team. When more pictures become available this page will be updated further. 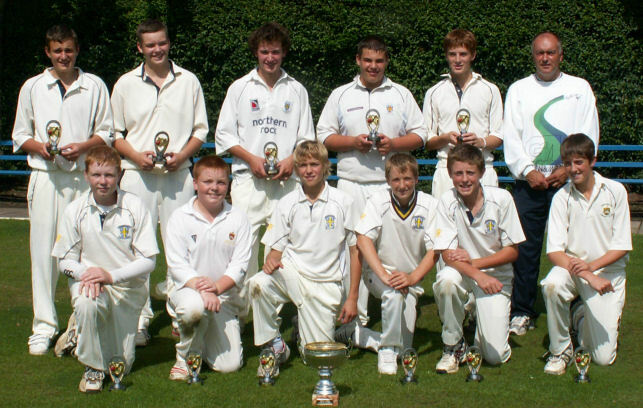 Under 15's Team Photograph 2006. Back Row Left to Right: Tom Chapman, Daniel Lee, Will Manners, Matthew Wheeler, Ian Wilson, John W Lister (Coach). Front Row Left to Right: James Dobson, Daniel Baldwin, Steven Lister (Captain), Adam Fenwick, Liam Coates, James Sutton. 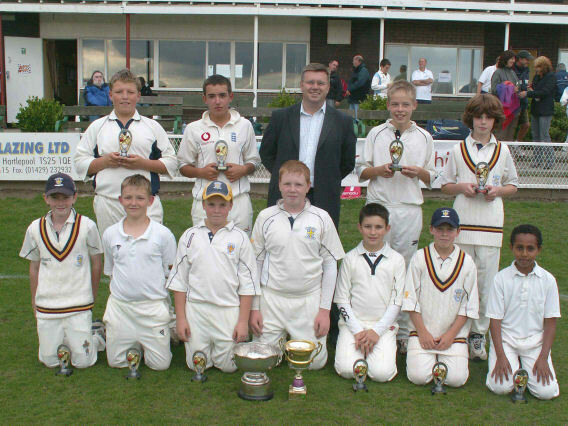 Under 13's Team Photograph 2006. Back Row Left to Right: Ben Simpson, Aiden Reid, Martin Vickerman (Coach), Stan Clitheroe, Michael Colling. Back Row Left to Right: S.A. Charlton (Scorer), N. Pratt (Coach), D.R. Johnson, J.G. Moody, D.J.B. Morgans, P.D.Raine, Hanif-ur-Rehman (Pro). Front Row Left to Right: M.E. Jobling, D. Page, M. Stainsby (Captain), R.J. Lawrence, S.N. Whitehead.